A book about trading the financial markets. My average return on capital in the three years 2007 to 2009 was 108.74%. I disclose how I did it and the lessons I have learned in 20 years of trading the financial markets. You can opt in to the launch list of the book on the website. As the title suggests, a book about Residential Rental Properties. I outline how I got set up financially early in life by investing in Real Estate, and the lessons I've learned from 20 years of owning residential investment properties. I have completed an intriguing study of what the bible says about Money. Key concepts are: "Prosperity", "Fixing the World", "How You Can Get More Money", and "When Times are Tight". 1. 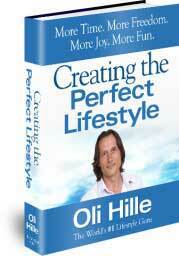 My Facebook page for my Lifestyle Book. 3. My YouTube page for my Lifestyle Book. 4. My Twitter page for my Lifestyle Book. 5. My MySpace page for my Lifestyle Book. 6. My LinkedIn page for my Lifestyle Book. 7. My Digg page for my Lifestyle Book.